The Twenty-First Judicial District Commission on Judicial Performance, by a vote of ten members, unanimously recommends that District Court Judge Thomas Michael Deister BE RETAINED. Judge Deister was appointed to the County Court bench in 1994 and the District Court bench in 2006, both in Colorado’s 21st Judicial District. He received his undergraduate degree from The University of Denver in 1971, and his law degree from The University of Denver in 1974. Judge Deister served in the United States Navy from 1974 to 1978 as a Lieutenant in the Navy’s Judge Advocate General Corps. He was in private practice from 1978 until 1987 when he was appointed as Assistant District Attorney, in the 21st Judicial District, until 1994 when he was appointed to the bench. He volunteers in service projects and education through his church, referees soccer as a volunteer and provides community service by volunteering to educate the public in the law. Judge Deister was evaluated through a survey of attorneys knowledgeable about his judicial performance, appellate judges and non-attorneys who have observed him in court. The Judicial Commission also received input from the District Attorney and Public Defender in the 21st Judicial District. The Commission interviewed Judge Deister. Of the attorneys surveyed, 73% recommend that he be retained, 13% recommend not to retain and 14% made no recommendation regarding retention. Of the non-attorneys surveyed, 96% recommend that he be retained, 2% recommend not to retain, and 2% made no recommendation regarding retention. In comparison with the average combined grade for all district court judges standing for retention in Colorado, Judge Deister scored higher. His strengths are noted to be his diligence, neutrality and thoughtfulness. Of particular note is his integrity and sense of fairness. Although inconsistently reported, Judge Deister needs to improve his demeanor in the courtroom. The Commission found that Judge Deister had already implemented a plan to address this issue and also found that his desire to improve in this area is sincere. 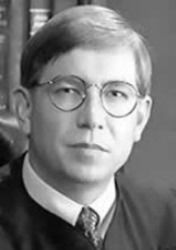 Judge Deister is considered an asset to the bench.